Built in 1866 in Mystic, CT, as the 97-foot schooner L’Hirondelle and later purchased, renamed and lengthened by James Gordon Bennett, Jr. to 120-feet, she had a long and storied racing career, including three trans-Atlantic matches and an America’s Cup defense in 1870. 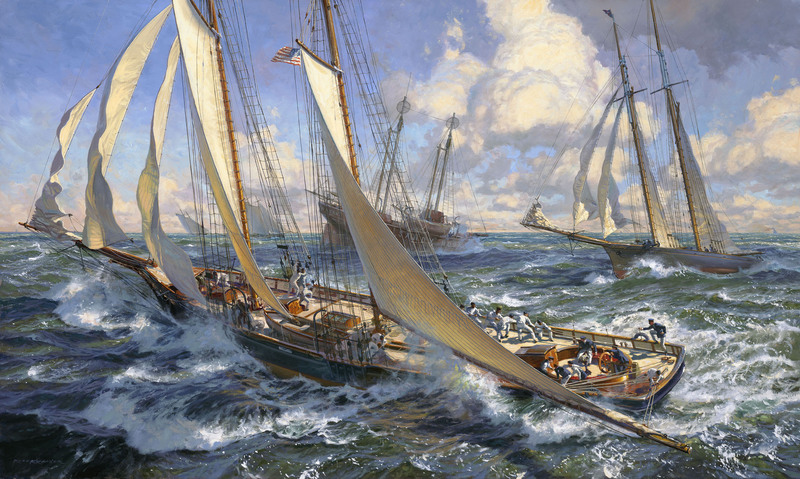 She is shown here rounding the Sandy Hook Lightship with Captain Bully Samuels at the helm in a New York Yacht Club race in the summer of 1877. This painting was done on commission for a private collector.